Hope you are having a wonderful weekend! This plaid poncho is only $39 - and a great addition for fall. This chambray wrap dress is 50% off with free shipping! This best selling cardigan is 50% off. This cozy faux fur vest is only $45! These cute wedge booties are 50% off. This fun striped cardigan is on sale. This chunky sweater is under $50. This is a great football tee. This cozy sweater is the perfect fall color. This plaid shirt dress comes in 4 colors and is on sale. This is striped sweater looks perfect for fall. This tee has all my favorite fall things. This is the prettiest floral blouse for fall. This dress is the perfect color - would look great styled with boots - and is on sale. This cardigan is 40% off. 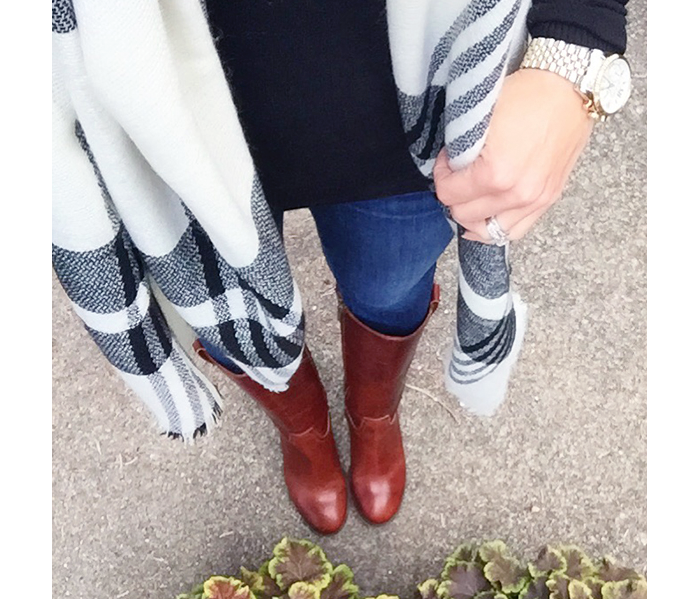 Just in case you missed it - I shared 10 fall items to add to your closet HERE.